The 2015 Village Day was a huge success (well done Tina – you’re a star!). There’s the video of the day from Bagshot’s own Nick Ransom. 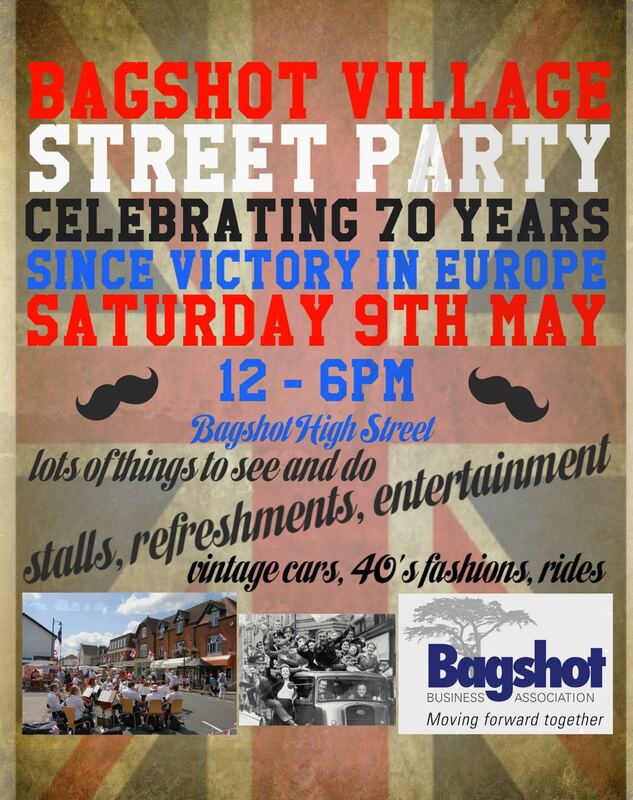 Bagshot VE Day 70 Years on – video!! With thanks to our wonderful Nick Ransom, we have a brilliant video of the celebrations in Bagshot for VE Day – 70 Years on!! 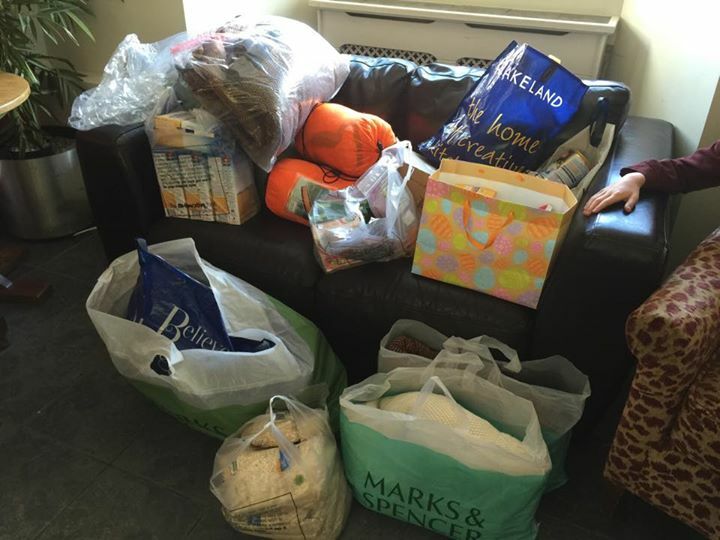 Many, many thanks to all the wonderful people who kindly gave donated items or money to the Bagshot Village/Lisa May Foundation Nepal Earthquake Appeal these last few days . As I type the items of food, bedding and shelter, have all been collected from the The Cedar Tree, and are now being sorted and packed so they can begin their journey to Nepal with a group of local Nepalese doctors and volunteers on Sunday.Our thoughts are very much with them as they make this very tough and emotional journey to give help in a situation few of us can begin to imagine. We have once again been overwhelmed by the generosity of the people of Bagshot Village – you are all truly amazing to say the least! We have now finished our collection of ‘goods’ for the time being, but we will continue to collect money in the special purple Lisa May cans around the village for a few more weeks. We envisage that our Bagshot Village campaign will finish at the end of June, but The Lisa May Foundation will continue to accept cash donations and continue to support the rescue work in Nepal for as long as it is needed. On a separate note the wonderful Bagshot Infant School held a mufti day today and raised an astounding £650 for our appeal. This is an incredible amount of money and we are totally humbled by the generous donations by the children and their parents. They are all stars of the week! A special mention should go here to Cheryl D’Cruz at the The Lisa May Foundation (now based at St. Anne’s House in Bagshot), who has coordinated so many aspects of this whole appeal and held it all together. She is a truly amazing person, who has probably had about 12 hours sleep this week. We should also be very proud of our very own Bagshot lad Nick Ransom, who as well as studying for his ‘A’ levels has produced three incredible videos for the Earthquake Appeal – (see them on the Lisa May Facebook page). Lots of us have been popping in and out and doing bits and pieces, but Cheryl and Nick are inspirational and totally dedicated to The Lisa May Foundation.